Stuart Parker has thrived after his graduation out of the formal education system thanks to the support of Community Living Central York. Along with learning valuable life skills, he was given a new opportunity through Community Living’s Employment Strategies, a program that recognizes there is a clear benefit to both businesses and the community when everyone is given the chance to succeed. Here Stuart received the confidence and support he needed to earn a place of employment at a Mazda car dealership. Today, Stuart is one of Community Living’s United Way ambassadors, speaking to local companies and associations about the agency’s work. 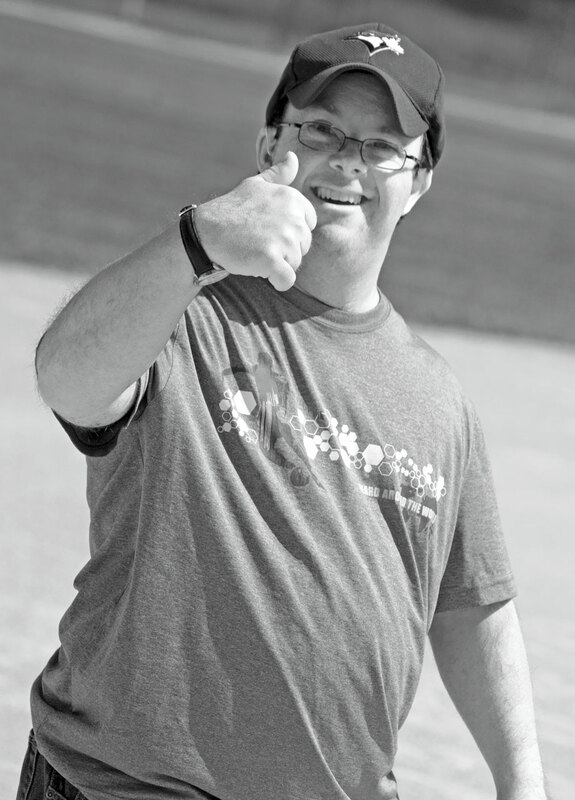 He is a role model to his Community Living peers and proof that people with developmental disabilities can make a difference in our community. The Employment Strategies program at Community Living gives individuals the support they need to earn a place of employment. Staff members actively seek out and build relationships with businesses that are a good fit. Community Living also helps with all on-site training until the new recruit feels comfortable and capable within their new working environment. These jobs aren’t simply symbolic; the Employment Strategies program provides businesses with reliable, productive workers who fulfill a necessary role. By recognizing that everyone is capable and working within pre-existing skill sets, Employment Strategies puts people supported by Community Living in a position to succeed and provides a clear benefit to both businesses and the community. With your help, Employment Strategies will be able to support an additional 100 developmentally disabled adults each year, giving them the skills needed to contribute to our community.